Brothers Aaron and Evan Steed founded Meathead Movers in 1997 in Southern California when they were still students. Once they started advertising, they almost immediately started getting phone calls from frantic people looking for help leaving their abusive partners. Helping people escape from abuse wasn’t something the Steed brothers had planned for. The first few calls they received asking for help they took to be isolated incidents. But the calls kept coming every month. “It’s a big problem that no one’s talking about. That’s part of what gives it so much power–people aren’t talking about it,” Aaron says. At first, Meathead Movers worked directly with domestic violence victims. But one day, the abusive partner of one of their clients turned up during a move and the situation became volatile. The team realized they needed to make a change to protect their staff and clients. They partnered with the Women’s Shelter Program of San Luis Obispo, a local shelter that could help them ensure the moves were done as safely as possible. Since then, they’ve expanded their partnerships to another shelters: Domestic Violence Solutions of Santa Barbara County, Marjaree Mason Center of Central Valley California, Laura’s House of Orange County, Interface of Ventura County, Rise SLO of San Luis Obispo County and Good Shepherd in Los Angeles County. Steed estimates that so far his company has helped around 300 people move. “We’re saving a life every time,” Aaron says. And two years ago the company started giving each of the seven domestic violence shelters they partner with $12,000 to $20,000 a year in free moving services to help people move from transitional housing to their next home. You don’t know me, but your moving company helped me and my three daughters. My ex-husband used to tell me that if I ever left he would find us, kidnap the girls, and kill me. When you are getting abused you feel worthless and like no one cares about you. You and your company showed me and my daughters that we are special and deserve to have a new life. I hope that all women escaping violence can have this special feeling. Meathead Movers is also the driving force behind a movement to end domestic violence called #MoveToEndDV. The movement started in September 2015 when the story of their free moving services for domestic violence victims got picked up by LA Weekly and went viral. “Our office was inundated with phone calls from people and businesses who wanted to do something. Our story inspired them. We’re just a moving company, in an industry as old as the hills, doing something that was making a real impact,” Aaron says. For the first few days after the story broke, the company simply encouraged people to do what they could. After four or five days they started to encourage people to make a pledge in whatever way they could help. They’re up to 127 pledges from individuals and businesses and are hoping to turn that into hundreds of thousands. 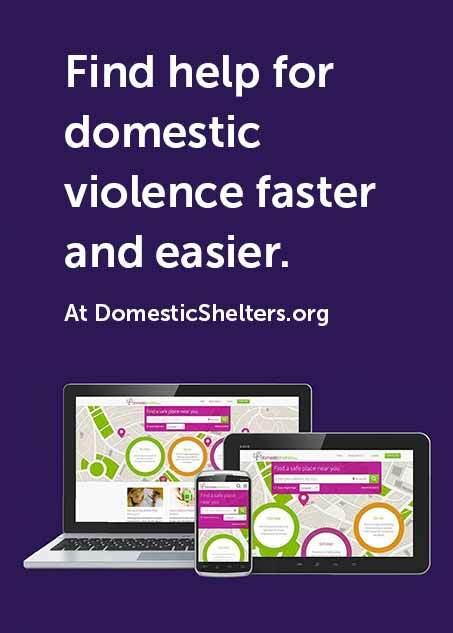 With #MoveToEndDV, Steed hopes to build awareness about domestic violence. “We’re hoping to create awareness in each community that if you are getting abused, help is on the way. There’s a group of business professionals willing to go into action right now to get you out of that situation and help you rebuild your life,” Aaron says. Having that place to turn gives some power to survivors. “It takes the power away from the abuser, since they rely on control and making their partner think they have no other option or place to go,” he says. Do You Know a Domestic Violence Hero?